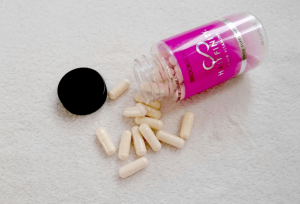 How Do Hairfinity Supplements Work? 2018 Hairfinity Update: Still Working? Once upon a time, the clichéd line of thinking was that women were obsessive over their hair and men were indifferent about theirs. Women would supposedly take a long time prepping themselves and their hair for the day while men would seemingly roll out of bed and walk through front door without so much as a glance at a mirror. In 2018, we can safely put this stereotype to rest; there’s no doubt that women do care about their hair, but nowadays men seem to care just as much if not more than women do about their own. This has been apparent for some time, but a recent hair care-boom has taken men’s hair care to new heights; the men’s grooming industry grossed a record $21 billion in 2017. Clearly, in this day and age, everyone cares about their hair and will go to great lengths (pun awesomely intended) to make sure their hair is the best and healthiest that it can possibly be. This has led to a proportionate uptick in the number of hair care companies and products that are designed to help consumers reach their full ‘hair potential.’ Brock Beauty is one of those companies. 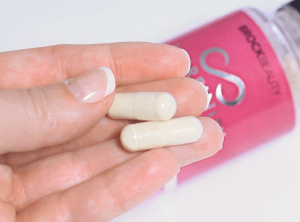 This is our Brock Beauty Hairfinity Hair Vitamin Review. Brock Beauty was founded in 2004 by Brock Lawrence and his wife Tai when the couple noted a gap in the hair and cosmetics industry. 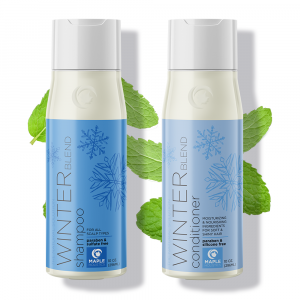 The company strives to provide effective hair and skin care products backed by safe and natural formulas – unlike the major players in the industry who sometimes only claim to provide “all-natural” products. Specifically, the couple recognized that there was a lack of safe, reliable supplements available that were designed to improve hair growth and health. Hair pills and supplements were either expensive, unsafe and unreliable, or both. This led to the creation of Hairfinity dietary supplement, the flagship offering of Brock Beauty and one of the most widely-used and acclaimed hair care products available in the world today. Born largely of Tai’s desire to create a solution that solved her own hair growth problems, the Hairfinity dietary supplement is designed to fill in the gaps in a regular diet by providing bodies with the nutrition that it needs (but may be lacking) for healthy hair growth and maintenance. The dietary supplement is part of the larger Hairfinity family and brand – Hairfinity also offers shampoo, conditioner, a strengthening amino masque, nourishing oil, and infinite edges serum spray, all designed to promote the strengthening and improvement of hair. Using only the safest and most effective natural ingredients and nutrients, Hairfinity has been universally praised for its effectiveness, all-natural formula, and affordability as compared to many other popular hair solutions on the market. Hairfinity’s dietary supplement has been proven effective for both women and men. The Hairfinity formula works from the inside out, boasting a complex which provides the hair with its naturally occurring building blocks through the strengthening of necessary hair-friendly vitamins and nutrients. The Hairfinity dietary supplement doesn’t need be taken in conjunction with any of the other products in the Hairfinity family – the shampoo and other topical supplements are merely intended to strengthen and compliment the dietary supplement. 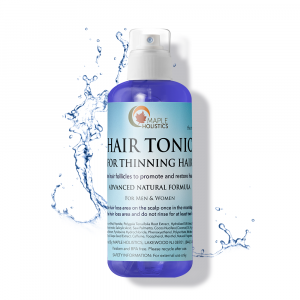 A commonly encountered problem in the hair growth supplement market has been that of pills that promote hair growth on various parts of the body. Hairfinity’s vitamins are not formulated for stimulation of follicles on any hairless or unwanted areas. There will be no ill-effects if and when someone stops taking the vitamins, which are manufactured in FDA certified facilities that adhere to the requirements of the United States Food and Drug Administration. Unlike some companies who provide hair care products that are shrouded in ambiguity in terms of their active ingredients and composition, the vitamins which compose Hairfinity’s dietary supplement are listed by Brock Beauty and ready for review. The formula is composed of such ingredients as hyrdrolyzed collagen, which is composed of amino acids which formulate new collagen that strengthens the hair strands and shaft. Also included is MSM. No, not the mainstream media, but a sulfur-rich compound that promotes vitality, horsetail and silica, which are known for their boosting and fortifying power. MSM also includes biotin, which promotes growth of existing hair and produces keratin, which works to increase hair elasticity. Vitamins A and D provide antioxidant protection to promote hair and scalp health, niacin promotes blood circulation to the scalp, and pantothenic acid strengthens and nourishes the hair follicle. 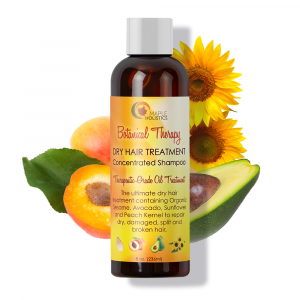 All in all, these ingredients (and more) combine to form an ideal hair care supplement which is designed to help hair of all kinds – man or woman, young or old, it makes no difference, everyone stands to benefit from Brock Beauty’s Hairfinity. Full-disclosure time: I am a thirty-three-year-old woman and I have been struggling for my entire life with strengthening and lengthening my very stubborn blonde head of hair. I have tried just about every supplement, shampoo, and miracle product you can think of, all to varying degrees of ineffective results. I spent most of my adult life hiding under hats or strategically styling my hair to diminish the thinning look of it, which, believe me, hasn’t been easy. Looking at some of my friends and their gorgeous hair that falls to the middle of their back made me wonder why I couldn’t have hair like that – it certainly wasn’t for lack of trying! About a year ago, however, I found Hairfinity, and life hasn’t been the same since! Initially introduced to me by a male co-worker, Hairfinity has been, in short, a life saver. I was skeptical of the product at first given that all I knew of it was that it was working for a man who I worked with, but after researching the product, I actually found out that more women use Hairfinity than men. I started with a one-month supply of sixty pills and followed the regimen religiously, taking one pill twice a day after eating. Unfortunately, during the first couple of weeks I saw little to no progress and chalked up the product as another failure in my ongoing struggle. I kept up with the regimen given that I already paid for the product, and finally, towards the end of the month, I saw some improvement in my hair – it seemed softer and thicker than it had been, which was more progress already than I had seen in several more expensive supplements. I decided to pay for month two, and the progress never slowed down – my hair grew softer, grew longer (finally! ), thickened, and even seemed to give off a shinier, more vibrant look! Month two of Hairfinity was definitely one of the better months of my life. I haven’t stopped taking the pill since, and my hair is virtually indistinguishable from the hair I had ten months ago when I first started taking Hairfinity. My hair used to stop growing at a length a few inches above the shoulder and it now falls past my shoulder blade – and it is softer, stronger, and healthier hair than I’ve ever had in my life! This might seem like an exaggeration, but taking Hairfinity was one of the better decisions I have ever made – the compliments I have been receiving have done wonders for my confidence, and I’m just a happier person knowing that my hair is finally growing in the way that I want it to. 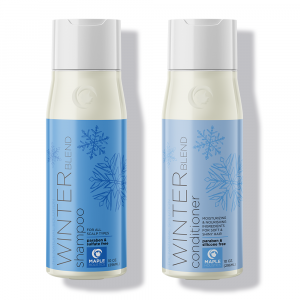 If their complex formula worked miracles for me, after I tried and failed to improve my hair with COUNTLESS other hair care products, I can’t imagine it not working for most everyone else. I am still using the Hairfinity dietary supplement, and it still works its magic on me and my hair. It really is amazing; when certain things fall into place, so many others seem to follow suit. I mentioned the boost of confidence I experienced with Hairfinity, and that confidence has grown and blossomed. I am happy I made it through that initial period of apparent failure, and continued using the supplement. It’s strange. 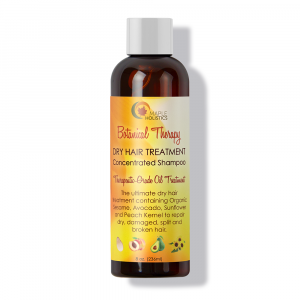 You wouldn’t necessarily think that a supplement, of all things, will solve your hair trouble. I know we are all different, and this is definitely not the route which everyone needs to take. That said, it continues to work for me, and it makes me happier. 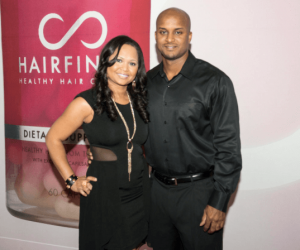 To Hairfinity – and beyond! Be sure to check out our BeautyCounter, Rogaine For Women and Body Shop features and come back soon to Maple Holistics! There is nothing like a strong, healthy, attractive head of hair. Men and women alike want great hair and will do what it takes to have it. Some people are blessed with genetics that provides great hair naturally, but for most of us, hair can be a struggle – and a frustrating one at that! There is no limit to the range of hair care products available today that are designed to improve hair appearance and health, although none combine safe, natural ingredients with affordability and effectiveness like Brock Beauty does in their Hairfinity vitamin supplement. If you’ve been looking for that perfect solution to your hair woes, look no further – if Hairfinity can work for me, it can work for you!